1] Click on the Start button and then the gear-like symbol to open the Settings page. 2] Go to Updates and security and then the Troubleshoot tab. 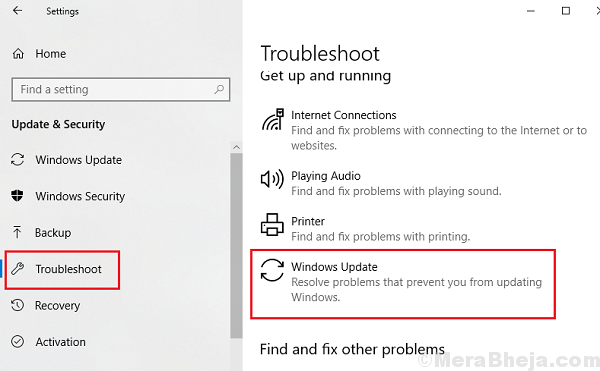 3] Select the Windows update troubleshooter and run it. Windows update is ideally a background task. If the system is being overutilized, it would be subsided. To verify this, check the Disk utilization in the Task manager. 1] Press CTRL+ALT+DEL to open the Security options menu. 2] Select and open the Task Manager from the list. 3] Check if the Disk utilization is shooting up to 100% again and again. If yes, it might be because of a memory intensive task. You might have to close it temporarily depending on how important it is. Windows update stores files on the system and thus it needs space to run. If your system drive is full or almost full, it would be advisable to uninstall a few applications to unload the system. 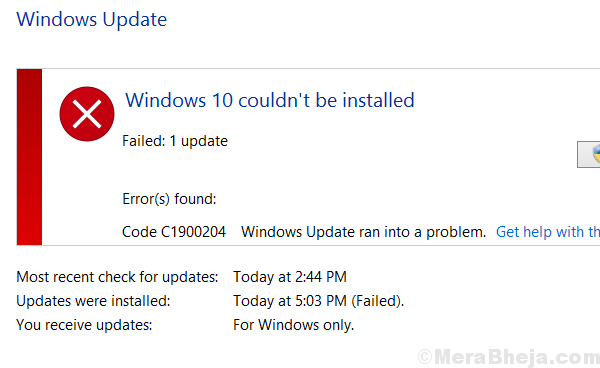 The difficult part with Error 0xc1900204 is that we do not know the exact cause since the Windows update doesn’t even start. We could try starting it forcefully through Powershell and check what happens further. 1] Right-click on the Start button and select Windows Powershell (administrator). 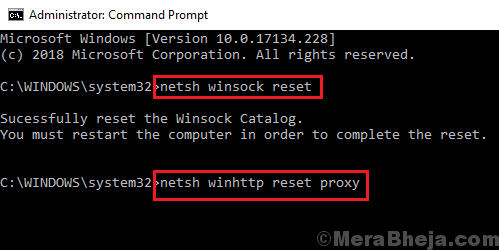 2] Type cmd and press Enter to open a Command Prompt like window. Resetting Windows updates components is a complex procedure, but we could do it one by one. 1] Type Command Prompt in Windows search and right-click on the icon. Select Run as administrator. 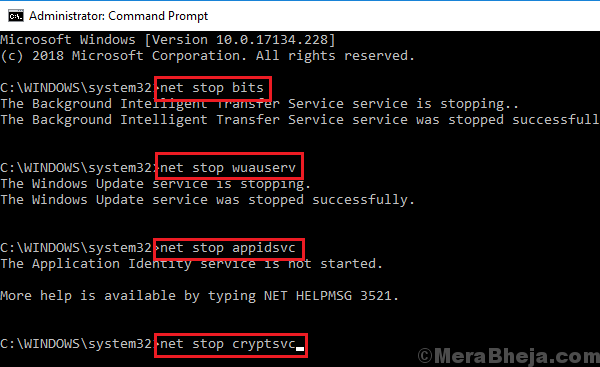 These commands stop services associated with Windows update, like the Windows update service, cryptographic service, etc. Press Enter to execute each of them. 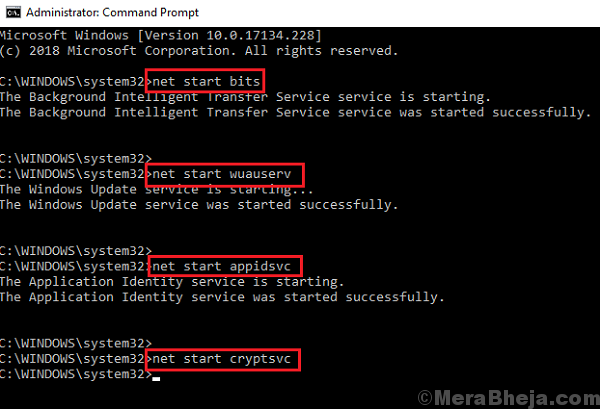 9] Exit Command Prompt and restart your system. Since this issue could be caused by virus and malware, it would be advisable to perform a full anti-virus and malware scan of the system and isolate this possibility.